This mattress is constructed with high quality reflex foam that offers orthopaedic support without compromising on comfort. It is also naturally hypoallergenic. Roll-up mattresses provide a more efficient way for the product to be packaged and transported making them more environmentally friendly. Moreover, it will be easier for you to carry this mattress to your room of choice. 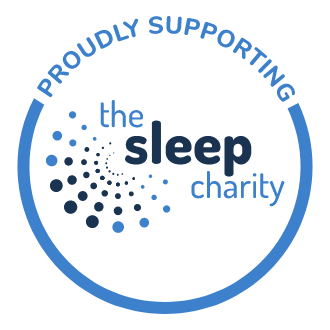 They are designed to expand once opened (levelled out), usually taking a maximum of 24 hours to reach ideal sleeping condition. Please note: Once expanded, roll-up mattresses cannot be re-rolled for storage. 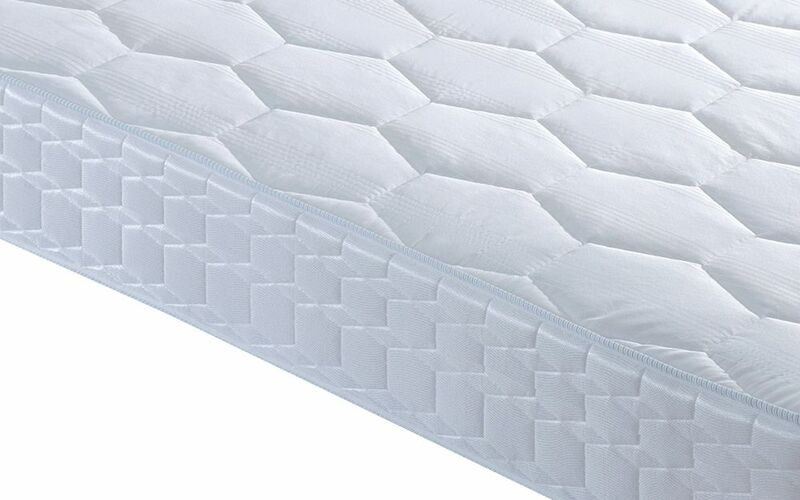 Mattress depth 20cm (7.9") approximately. 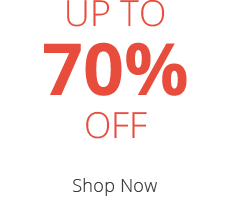 This item benefits from a 10 year guarantee. Introducing the Uno Supreme Ortho Mattress from Breasley - perfect for anyone who loves a supportive night's sleep. 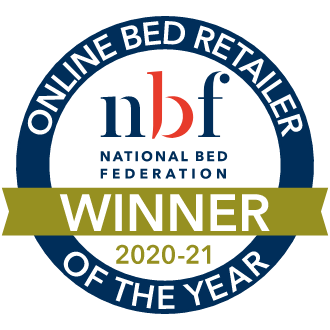 Crafted from revolutionary high density foam this mattress is zoned to provide targeted support where you need it most. Get the support you've been dreaming of! 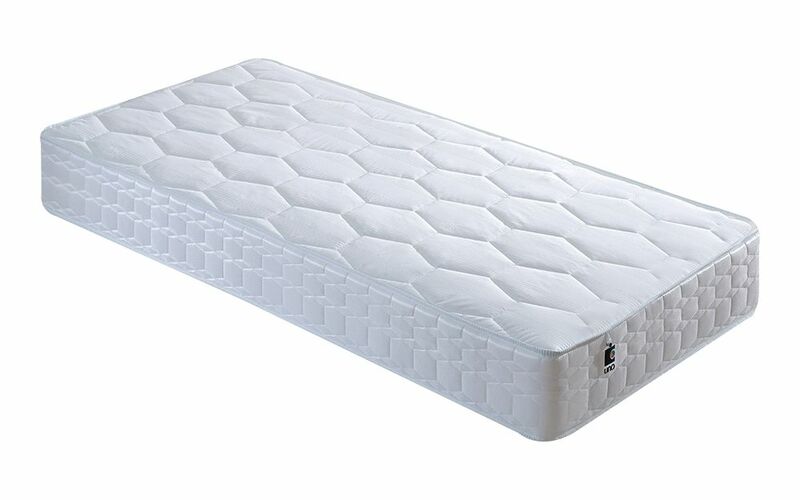 Tailored to you, this mattress features a superior profiled foam base that works with the deep high density foam layer to provide optimum support all through the night. Paired with a superior firm support, the Uno Supreme Ortho is the ideal mattress for you! Enhanced airflow in the Uno Supreme Ortho improves the longevity and freshness of your mattress - so you can sleep peacefully every night. Finished with a luxury damask cover for added comfort throughout the night, this mattress is the only way to end your busy day. Infused with innovative HyCare technology, the Uno Supreme Ortho protects against dustmites and bacteria to offer a cleaner sleeping environment for a peaceful night's sleep. 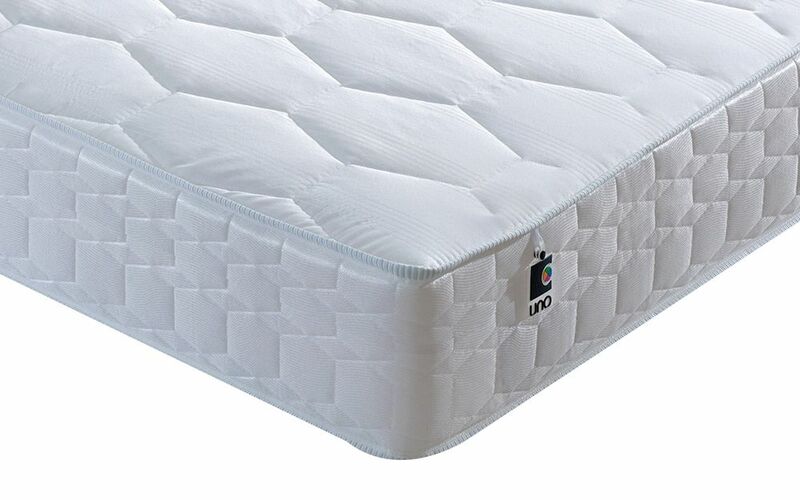 This mattress is single-sided for your benefit - you'll never need to flip your Uno Supreme Ortho, just rotate every time you change the sheets! Complete with an impressive 10 Year Structural Guarantee, the Uno Supreme Ortho has been built to last. Your Uno Supreme Ortho will be delivered vacuum packed and rolled up for hassle-free manueverability around your house. Once open your mattress will take a few hours to expand before it is ready to use. Please note that European sizes come with a standard quilted cover so will appear different to the images shown. We are sorry that you're not entirely satisfied with your purchase. It does have a very dense feel due to its construction (Foam). This will feel worse if the old mattress was a completely different type from the new one or if it had lost its ability to support the body properly. Then we suggest that you try using a mattress topper. Using a mattress topper does provide additional comfort when transitioning to a new mattress or you are finding your mattress a little too form. The matress isn't as big as the bedframe even tho both are king size. Firm but not enough Firm for me.